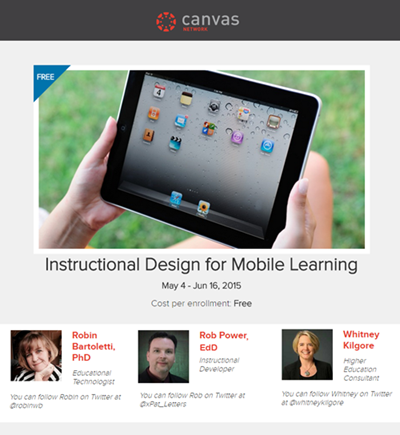 This course introduces participants to instructional design principles for teaching with mobile technology. Participants will explore designing and integrating mobile learning into a course; pedagogies for teaching with mobile technology; a framework for mobile learning design strategies and simple and apps for creating mobile content and instruction. Participants will also have the opportunity to attend virtual events facilitated by mobile learning designers and practitioners.